Facing the future: a decision that affects the lives of future generations should only be made after informed debate. As the need for British common sense has become more apparent in Europe, Brexit seems to have taken a heavy toll on British common sense, Geoff Kitney writes. My family has blood invested in the future of Europe. My grandfather was seriously wounded in the Battle of Polygon Wood, near Ypres in Belgium, just over 100 years ago. His brother was killed in action. For the rest of his life, my grandfather carried inside his body fragments of the German shell that almost killed him. I never got to talk to him about this. His war wounds contributed to a relatively early death. But I have read a diary he kept at the time, written in a small notebook which recorded details of sheep purchases made for his farm before he set sail to join the Great War. In it, there seems to be little understanding of why he was going to fight in this war, other than that he was going to the aid of the mother country, to stop the “Hun”. There are, of course, many Australians with similar connections to the 20th century conflagrations that were the consequence of historic rivalries and the ultra-nationalism which lit the fuse to war. It is beyond question that Europe in the 21st century would have become a very different place were it not for the role that Britain played in ensuring that freedom and democracy triumphed over tyranny. It takes just a day’s drive through the vast fields of headstones that litter the battlefields of the 20th century wars to be reminded of the terrible cost of European nationalism gone insane. I did that drive in 2016 not long after the vote by Britain to leave the European Union. I couldn’t help having the feeling that the decision to turn away from Europe was an interesting choice to make, given the amount of British blood that was spilled on European soil during the terrible wars of the 20th century. I wondered how many of those who voted to leave the EU had given any thought to the price that Britain had paid for the future of Europe and whether there were strong historical reasons for staying deeply engaged in Europe. Yet surely, these are fundamental questions. In the hasty and superficial debate which took place in the 2016 referendum campaign, deep reflection was not possible on historically profound matters such as, what could arguably be seen, as a betrayal of those young Britons who sacrificed their lives for peace in Europe. Because it is beyond question that Europe in the 21st century would have become a very different place were it not for the role that Britain played in ensuring that freedom and democracy triumphed over tyranny. The Brexit case always was based on – to borrow a phrase – “Britain First”. The issues that dominated the “yes” case were issues of narrow self-interest, playing down or ignoring the wider perspective of Britain’s broader regional interests, particularly its importance as a voice of common sense and reason and as a vital ally for those who are fighting to preserve these vital values in European affairs. In the two years since the Brexit vote, the case for ensuring that those values are upheld and strengthened in Europe has only increased. In fact, the steady rise of right-wing populism and nationalism since mid-2016 have given weight to the argument that Britain’s influence in Europe is needed even more now – and that the risks of walking away from playing this role are increasing for Britain too. Bizarrely, as the need for British common sense has become more apparent in Europe, Brexit seems to have taken a heavy toll on British common sense. 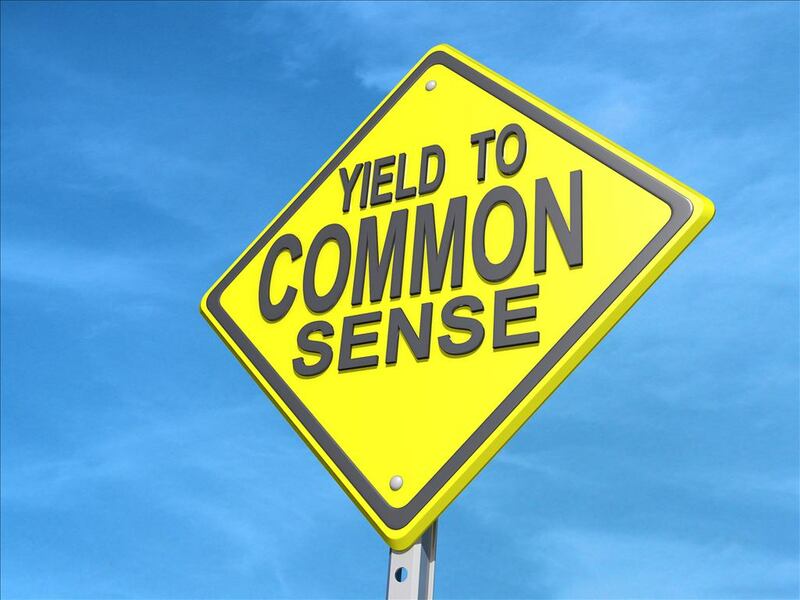 Of course, “common sense” is a concept a bit like political bias. What you consider to be common sense depends on from where you are viewing it. A reasonable definition would be that it is that which seems sensible to a person who does not have a strong vested interest – political, pecuniary or prejudiced – in the subject under consideration. So, to me, “common sense” would indicate that – in light of all that has occurred since the Brexit referendum – the case for a second referendum is now overwhelming. “Common sense” would suggest that opponents of the idea of a second referendum are making up ridiculous reasons for not doing so. And most ridiculous of all – because of the place she occupies as the leader of her nation – is Prime Minister Theresa May. Her argument that it would be a betrayal of democracy to have a second vote is simply inane. Every day that the Brexit process slides further into farce, the more lacking in common sense May’s argument becomes. As the complexities and potential pitfalls of Brexit become ever more apparent the deficiencies and inadequacies of the original referendum debate become equally apparent. Poll after poll revealing the gulf between older Britons and younger Britons in their attitudes to Brexit reinforces the case that the original vote was – as much as anything – a vote driven by nostalgia rather than reality. What a hopeless way to take a decision which will determine the nation’s foreseeable future and beyond. May’s reasoning for opposing a second referendum is transparent: She knows it would cost her job to take the brave decision to propose a second referendum. And the virulent opposition of the Brexit crowd to a second referendum is equally self-serving. They fear that, second time round, the vote would be reversed. The steady rise of right-wing populism and nationalism since mid-2016 have given weight to the argument that Britain’s influence in Europe is needed even more now – and that the risks of walking away from playing this role are increasing for Britain too. But given that the stakes are so high for Britain and for Europe, common sense requires that there should be a second vote where British voters can make a vastly more well-informed choice than they were able to do in June, 2016. To argue that this would be a betrayal of democracy is simply absurd. And it is worth considering what the consequences of a second, more considered vote might be. A second no vote – taken in the light of all the extra knowledge that is available to voters compared to the original vote – would be more unifying that the divisive mess created by the first, unsatisfactory referendum. No-one could continue to argue that the choice, second time round, was an uninformed one. 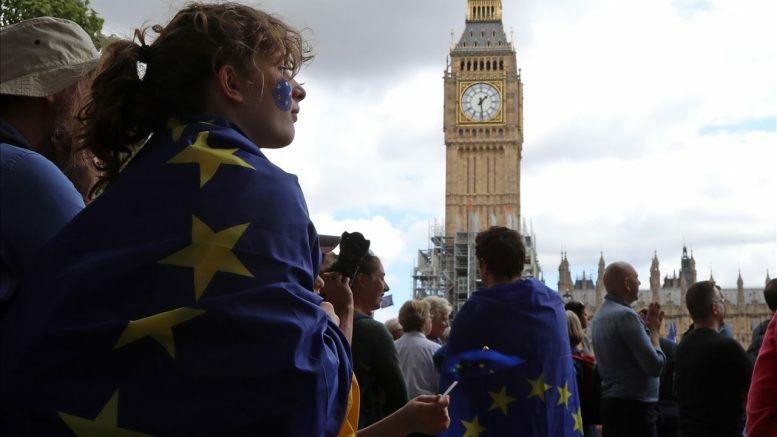 A yes vote second time round could mean that the whole Brexit process has turned out to be beneficial for the UK and for Europe. The Brexit process has forced both Britain and the European Union (and its member countries) to undertake a deep process of reflection and re-examination of the state of the European project. Much has been learned and these lessons could be applied to benefit the entire project. The EU will surely do this anyway, regardless of whether Brexit occurs. In this sense, the Brexit shock may prove to be a good thing for Europe. Whether it will be a good thing for Britain if it continues on its present course is much more open to question. This is why British voters should be given a second chance to answer that question by a vote in a second referendum.